Turning 30 weeks pregnant feels like a bit of a milestone. At times I think it's still absolutely ages until the baby is due, but at other times I panic about how close it is, particularly with the time around Christmas being lost to all things tinsel. I have started to think of all the things I need before baby comes and all the sorting I need to do. My desire to start nesting has been competing with work for a while so this week I have made some time for it. 30 weeks has been a turning point in my comfort levels too as I'm becoming increasingly uncomfortable. This week has also seen me visiting the GP and Hospital again, but this time they were planned visits for a flu jab and Gestational Diabetes Testing. 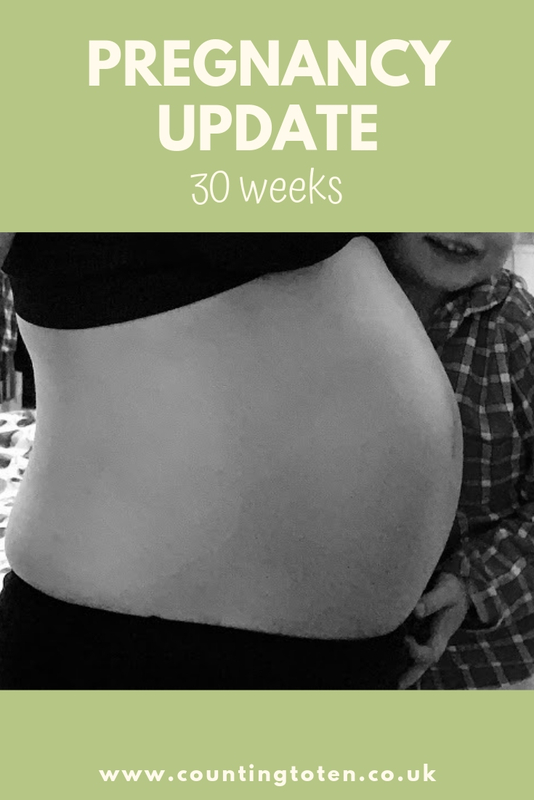 So what has been happening at 30 weeks pregnant? I started 30 weeks with what I think was my first Braxton Hicks this pregnancy (is that how you say it in singular?). 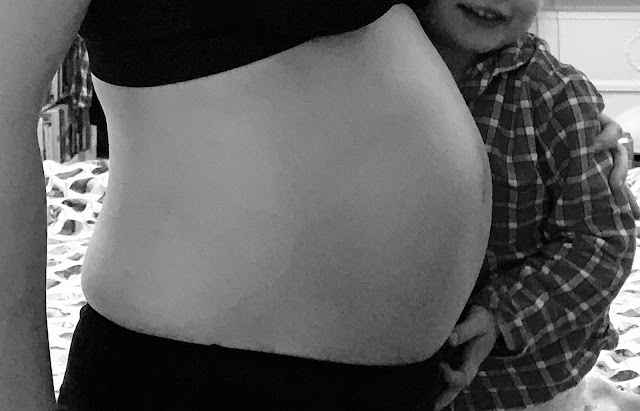 Although I had lots of mild cramping which I mentioned in my last pregnancy update they felt much more like really mild contractions than what I expect from my Braxton Hicks. But the BH I did have was still a lot milder than any of the ones I remember in my pregnancies with the girls. 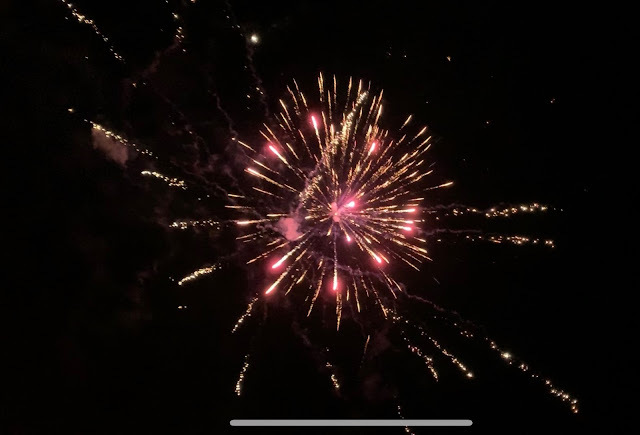 There has been no let up in my heartburn this week although I have been mostly trying harder to avoid the foods that make it worse and eating close to bed time. Then I’ll fancy some chocolate and it will all go wrong, but I’m making the most of sweets etc just in case I’m told I have gestational diabetes. Pregnant women at risk of gestational diabetes are normally tested much earlier than 30 weeks, but due to some confusion with the midwives who din't tell me I needed to be tested and them not being sure why I had an appointment for a Glucose Tolerance Test I ended up having one this week. Given the amount of sugar I consume each day I don’t think I have it as I don’t feel any adverse affects, but given the amount of sugar I consume each day it would be really harmful to the baby if I did have Gestational Diabetes and didn’t know so I decided I should have the test. I’ve no idea when I should get the results, but I’m guessing someone will contact me if there is a problem, otherwise I’ll find out at my next midwife appointment which I think is at 34 weeks. Pregnancy insomnia is continuing to make me tired all the time. It’s one thing getting woken up by your children, but just lying in bed in the middle of the night for no reason is rather frustrating. It’s not a problem I normally have because I’m great at sleeping and I’m not enjoying it. Probably mostly due to the insomnia and partly due to it being hard work growing a baby, I am feeling really tired at the moment. There have been a few evenings this week when after lying down next to my toddler to help her go to sleep I have struggled to move again due to a sharp pain at the bottom of my back, in the tail bone area. I seem to remember that when my pelvic girdle pain started last time this was the first place I got pain and it was normally from lying on my back at night. This was the first week I needed modifications in my Pilates class due to the pain. It’s not constant, but certain positions aggravate it (like sitting in a reclined position) and then I struggle to move around for a while. At the weekend I got up and spent a lot of time cleaning and sorting out shelves in our dining room. G asked if I wanted any sticks, apparently it is obvious that nesting has hit big time. It’s a little frustrating to have the urge to sort through boxes and on top of shelves when my PGP is more painful, I should really be avoiding heavy lifting and stepping up on chairs. It’s hard to fight those instincts though. I have been desperate to get nesting partly because of instincts and partly knowing from prior experience that any cupboards full of junk won’t be touch for at least a year or 2 after the baby arrives. As well as a trip to the hospital for my Glucose Tolerance Test I have been to my doctors this week for the Flu Jab. I refused it several weeks ago when I was having my Whooping Cough vaccination, there was no real evidence for this, but I felt it would be easier on my body (and the baby) to let it process one vaccination at a time. I wanted to get my toddler’s flu vaccination done at the same time, but frustratingly they are short of the nasal sprays. It will still be flu season when they baby comes and I want to be able protect them from as much as possible so it makes sense for everyone to be vaccinated for what they can be. Otherwise it's been a quiet week (if you ignore all the fireworks).